Several federal laws in the United States are focused on the plight of unresolved missing persons and unidentified remains. Each law, the result of families of missing persons who searched every dark corner for their missing child and tirelessly worked to ensure changes would be enacted to avoid the pitfalls they experienced in search of their missing or murdered child. Each law represents a victim, who in their name, would ensure another child would have a better chance. As of May 31,2018, there were 87,608 active missing person cases in the Federal Bureau of Investigation’s National Crime Information Center (NCIC). An additional 8,709 unidentified persons are listed as active cases in NCIC. These numbers are staggering and reflect gaps in the response and procedure to missing and unidentified cases, as well as a lack of a federal mandate requiring all law enforcement within the United States to intake and respond to a missing person case. The families of missing persons have dedicated, at times years, to addressing the lack of response to missing person cases reminding the public each missing person reflects the name of an individual who is a child, mother, father, grandparent or sibling. 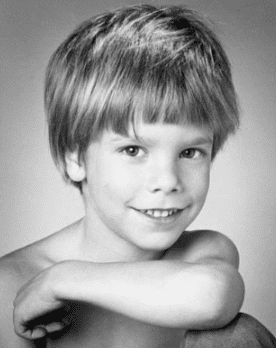 Etan Kalil Patz was a 6-year old boy who vanished on his way to school. The morning of May 25, 1979, Etan left his SoHo apartment by himself planning to walk from his residence at 113 Prince Street to his school bus stop on Broadway. He never got on his bus. When Etan did not return from school that afternoon, his mother Julie called police to report him missing. An intense police search ensued that evening with approximately 100 police officers and a team of bloodhounds conducting a thorough ground and door to door search for Etan. 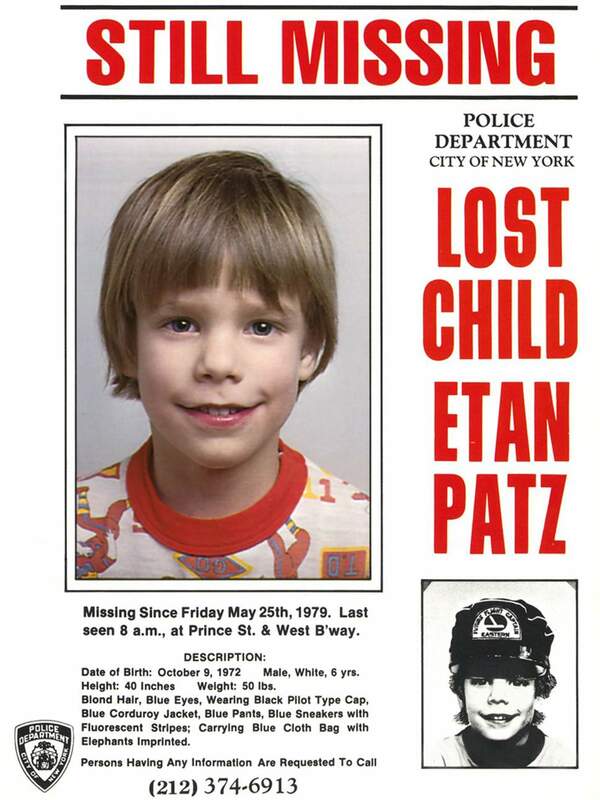 Etan’s father Stanley Patz, a professional photographer, had recently taken many professional photographs of Etan and made flyers and posted them throughout the neighborhood where his son had vanished. Etan has never been found but his disappearance spurred a movement that would affect missing children cases for years to come. In the early 1980’s Etan’s photograph was the first child to be profiled on milk cartons. Etan’s case marks the massive use of flyers to search for missing persons and credited for creating more attention to missing child cases. In 1982, the Missing Children Act was introduced to Congress and passed to authorize the FBI to enter missing children’s personal data into and maintain a national clearinghouse of information in the NCIC, making the information accessible to local, state, and federal law enforcement and providing a previously lacking resource to help find missing children up to age 18. On May 25, 1983, President Ronald Reagan proclaimed the day National Missing Children’s Day. 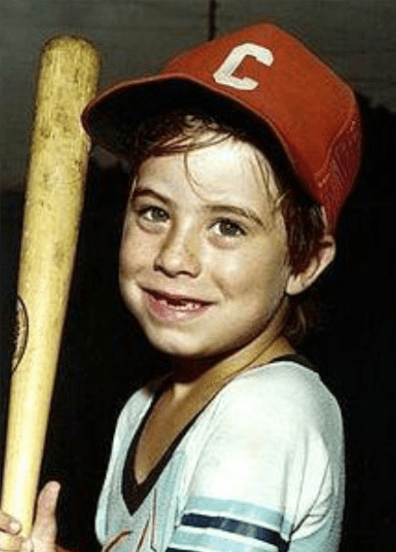 The disappearance of 6-year old Adam Walsh would spearhead the most significant contribution to finding missing children to date. On July 27, 1981, Reve’ Walsh took Adam to a Sears department store in the Hollywood Mall, in Hollywood, Florida. Only a few minutes out of his mother’s sight, Adam vanished. His severed head found in a drainage canal alongside Florida’s Turnpike in rural St. Lucie County. Adams parents, Reve’ and John Walsh spearheaded the effort to create the first national clearinghouse for missing children to provide resources to law enforcement and families of missing children. In 1984, The United States Congress passed the Missing Children Assistance Act creating the National Center for Missing & Exploited Children (NCMEC). NCMEC’s “Code Adam” program for helping lost children in department stores is named in Adam’s memory. In addition, Congress passed the “Adam Walsh Child Protection and Safety Act” on July 25, 2006 and President Bush signed it into law on July 27th, the day Adam had gone missing. Both John and Reve’ attended the signing ceremony held on the South Lawn of the White House. The law institutes a national database of convicted child molesters, while also increasing penalties for sexual and violent offenses against children. In 1992, Jennifer Wilmer was a 21-year old living with her parents in Long Island, New York. She had received a full scholarship to St. John’s University in New York City but dropped out after one semester, planning to later enroll in College of the Redwoods in the small town of Eureka, California. She moved to California in early 1993 and quickly found work but eventually fell on hard times, having to go on public assistance for a time. Her parents, Fred and Susan Wilmer promised to send an airline ticket to a local Eureka travel agency, so Jennifer could return to New York, but she never arrived to pick it up. 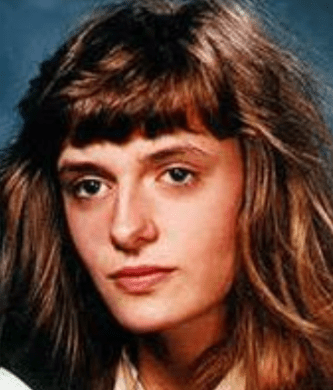 There are two conflicting accounts as to what happened the day Jennifer disappeared. 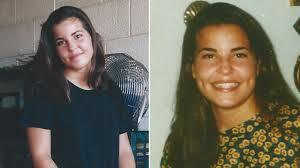 One account was that Jennifer was last seen leaving her northern California residence on September 13, 1993, to go to the travel agency to pick up her ticket. Another account was Jennifer was last seen hitchhiking from the Hawkins Bar area to Willow Creek to inquire about a job opportunity at a farm. Jennifer remains missing. In 1994, Fred and Susan Wilmer sought out help to find their missing adult daughter from the Nation’s Missing Children Organization (NMCO), founded by Kym Pasqualini, and located in Phoenix, Arizona. The group organized visits to the United States Department of Justice (USDOJ), and members of Congress to raise awareness of Wilmer’s disappearance and thousands of other missing persons throughout the country. They also formed a group of families of missing persons to create a group called F.O.C.U.S. (Finding Our Children Under Stress) and invited experts in the field of psychology and law enforcement to participate in order to better understand the emotional and psychological effects of dealing with “ambiguous loss” when a person goes missing. The Wilmer’s also began the years long effort to pass a federal law that would enable each state to enhance its efficiency with regard to the reporting system for unidentified and missing persons. Retain all such records pertaining to unidentified person until a person is identified. The Wilmer’s early advocacy brought much needed attention to the correlating problem between identifying unidentified persons by cross-referencing the descriptive information of missing persons with unidentified remains. In 1997, 18-year old Kristen Modafferi was an industrial design major at North Carolina University. She had been offered an opportunity to attend a summer photography course at University of California at Berkeley and left North Carolina on her birthday, June 1, 1997, to travel to San Francisco. It would be her first time away from home. She would quickly get a job at Spinelli’s Coffee Shop (now called Tully’s) at the Crocker Galleria in San Francisco’s financial district, working weekdays. On weekends, Kristen worked at the Café Musee inside the San Francisco Museum of Modern Art. On June 23, 1997 Kristen asked a Spinelli’s coworker for directions to Baker Beach, located next to the popular Land’s End Beach about a 20-minute bus ride from downtown San Francisco. That was the last time Kristen was ever seen. Her parents, Robert and Deborah Modafferi immediately flew to San Francisco to file a missing person report for their daughter. A ground search was conducted with Bloodhounds and detected Kristen’s scent at an overlook at the beach, but no other evidence could be found. Soon after Kristen’s disappearance, the Modafferi’s requested help from the Nation’s Missing Children Organization (NMCO) in Phoenix, one of the only groups in the country that would provide services to families of missing persons over the age of eighteen. The founder, Kym Pasqualini, would again travel to Washington D.C., with the Modafferi’s to speak to the USDOJ and members of Congress to raise awareness of adult missing persons. In 1998, Representative Sue Myrick of North Carolina spearheaded the introduction of Kristen’s Law that would appropriate $1 million per year for 4-years to create the first national clearinghouse for missing adults. On November 9, 2000, President William J. Clinton signed Kristen’s Law with the recipient of the funds going to the Phoenix-based NMCO to create the “National Center for Missing Adults,” (NCMA), the first national clearinghouse for missing adults. The group went on to serve thousands of families of missing adults, receiving up to 100 calls per day from families and law enforcement needing assistance. In 2002, NCMA in cooperation with the Bureau of Justice Assistance (BJA) at the USDOJ, and Fox Valley Technical College created and implemented the first training program for law enforcement focused exclusively on the disappearances of those over the age of eighteen. In 1998, Suzanne Lyall was a 20-year old undergraduate at the State University of New York at Albany. On March 2, 1998, at closing, Suzanne left her job at the Babbage’s in Crossgates Mall in a suburb of Guilderland, NY. It is believed Suzanne had taken the city bus from the mall to the University’s Uptown Campus, where a classmate of Suzanne’s told police they saw her getting off the bus at Collin’s Circle near her dorm. She has never been seen again. In 2003 President Bush signed “Suzanne’s Law” requiring police to immediately enter the person’s descriptive information into NCIC when someone between 18-21 is reported missing. Previously police were only required to report missing persons under the age of 18. Now, anyone under the age of 21 is considered a missing child and qualifies to also receive assistance from NCMEC. 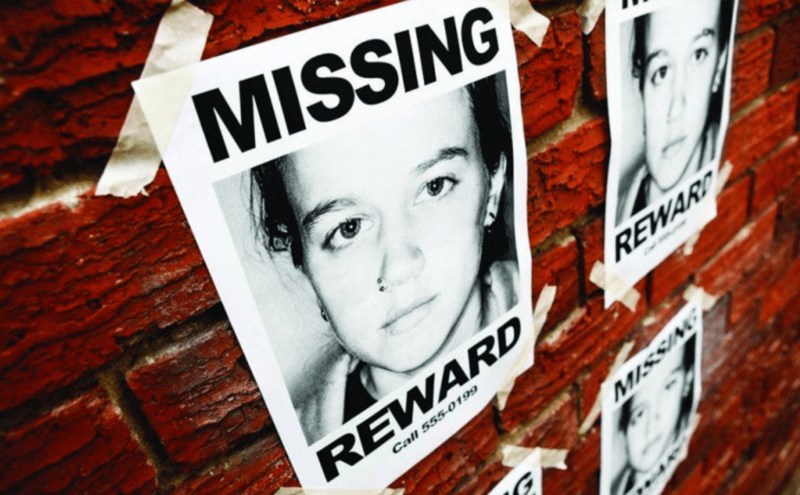 In 2007, Congress enacted the Campus Security Act, requiring all colleges across the country to maintain written plans on how they will work with local law enforcement agencies in the event a student is reported missing. The Lyall’s have continued to make their mark in the lives of others, in the name of their daughter Suzanne. On the 20-year anniversary of Suzanne’s disappearance, her mother, Mary Lyall was presented with the Senate Liberty Medal for her work on behalf of other families of missing persons. At approximately 7:00 p.m., on July 6, 2004, Molly Datillo dropped off an employment application off a Wendy’s fast food restaurant near 10th Street and Highway 465 in Indianapolis, Indiana. She then purchased personal hobby and school supplies for one of the three classes she was taking at Indiana University where she was taking a summer class while she was readying to graduate from Eastern Kentucky University later that year. Molly had been taking private voice lessons and had planned on auditioning for the “American Idol” show in August. She had attended all of her classes up to the day she vanished. At 11:00 p.m., Molly placed a call to a friend from a pay phone at a Thornton’s gas station on Crawfordsville Rd. the friend said the phone disconnected when they picked up the phone. Molly has never been seen again. In October 2008. Police announced they were investigating Molly’s disappearance as a homicide and looking at John E. Shelton as a person of interest because he was the last person to have been with her when she placed a call from the gas station. Shelton had a lengthy criminal record for theft and traffic offenses, with his driver’s license being legally suspended for life. Shelton had been the friend of a friend. Molly had met him the day of her disappearance. They went on a boat ride, then ate dinner together at a Taco Bell restaurant according to him. In the aftermath of Molly’s disappearance, Molly’s sister Amy Datillo worked tirelessly to get a law enacted that would outline what makes a missing person “at risk” and how law enforcement should obtain information relevant to finding the missing adult. The FBI defines an “At Risk” missing person to be someone who has a proven medical or physical disability such as someone with mental health issues, diminished mental capacity such as Alzheimer’s disease or other physical disability that compromises the health and safety of the individual without immediate intervention. Though not a federal law, Molly’s Law was signed by Governor Mitch Daniels in 2007, requiring law enforcement to enter an “At Risk” missing person into the NCIC database within two-hours of their disappearance within the state of Indiana. While Amy would still like to see Molly’s Law become a federal law, it will serve as a “model” for to her states to follow and Molly will always be remembered by the people she helped after she disappeared.